It's hard to believe that I am celebrating 4 years of GReads! Never, in my wildest dreams, did I believe this blog would lead me to the life I have now. It has impacted me in so many ways, and I hope in return I've been able to impact others through it. So much, yet so little, can happen in 4 years time. I'll always associate this blog to a very important turning point in my own life. 4 years ago I made the decision to go back to school and make a significant change in my life: To become a teacher. As I embarked on this journey of being an adult student, I also delved deeper into books and reading. They became my escape and this blog resulted in an outlet for all things I read. Somewhere over time it became more than just school & blogging about what I read though. I discovered friendships that would forever change my life, dear friends I hold close to my heart today. I was also introduced to a passion of writing that I never knew existed within myself. I started to catalog books as I read them that I would love to share with my potential students one day. Book after book, my relationship with reading began to grow. So here I am, 4 years later, celebrating another year of blogging here at GReads! and looking at my college graduation just a few short months away. This is a very exciting, yet oh so scary, time in my life. I'm thankful to be apart of this community, for books will always hold a special place in my heart, no matter what life hands me. 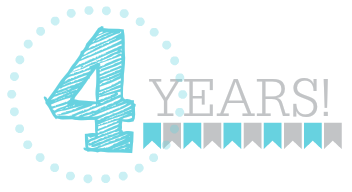 Here's to 4 years of book blogging, 4 years of studying, practicing, learning, & soaking up so much teacher knowledge! It's been an incredible journey, and I'm so thankful for the books I've experienced along the way, as well as the friendships who have helped carry me this far. To celebrate 4 years of book blogging & my upcoming graduation, I'm hosting a GIVEAWAY! This giveaway is open to international friends (just make sure Book Depository ships to you). I'll be choosing two lucky winners to select one book from my 5-star reads list! To access this list CLICK HERE (100+ books to choose from!!). Good luck & THANK YOU for being a part of this journey with me. It's be an AMAZING 4 years. Congratulations, Ginger! 4 years is huge! You've got a lot of awesome 5-star reads on your list, but I think I would probably pick Since You've Been Gone by Morgan Matson. I've been really excited to get my hands on this one. :) Thanks for the giveaway! <33333 Happy Blogoversary! <3333 I am so glad you blog and so glad GReads! exists! Wow, FOUR YEARS! Congrats! I can hardly wait until my one-year of blogging (3 more months!) ha ha! Congrats Ginger!! 4 years is amazing. :) From your list I would choose In Honor by Jessi Kirby! I may no longer blog, but I am so happy I met you when I did! I'll never forget the trip to Houston, the conversation about foot tattoos (which led to some really weird toe/foot tweets), or all the time I spent going through your blog. 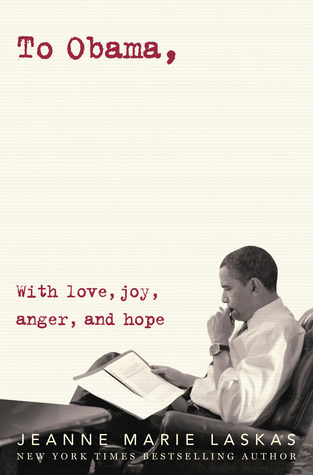 I knew if you absolutely loved a book, there was a good chance I would as well. It makes me smile to see you doing something you're still so passionate about. I'm lucky to have met you, and so are the many others that frequent your blog. Congratulations, G.
Also, I just remember putting your face on a popsicle stick and carrying you around BEA. And what what that drink called? Berry-tang? Hah! Congrats on everything!!!! I'm graduating in May with a degree in English Education, so I'll hopefully have a job as a high school English teacher this time next year! Isn't it the best feeling in the world to almost be done?? Good luck with graduation!! I'm also on my way to blogging for four years as of May, so looks like we're pretty much going through the same stuff, haha. Keep up the great work on your blog! It's one of my favorites :) Oh, and thanks for the giveaway! I'd definitely pick Since You've Been Gone by Morgan Matson. I'd love Breakfast Served Anytime.Awesome giveaway!!!! Congrats on your accomplishments! I'd love to win Since You've Been Gone by Morgan Matson! Well done you, Ginger! That's awesome. Wow, 4 years a great accomplishment, Ginger! Your blog was one of the very first ones I started reading when I discovered that book blogs existed, and it has remained a favorite. Thanks for all of the great book recs! Congratulations on your graduation as well. I know that the journey hasn't always been easy, but it will definitely be worth it (speaking from my own experience!). So happy for you! I would love Shatter Me by Tahereh Mafi. Oh and from your 5 star reads list, which is fabulous, I would probably choose Saving June or Live Through This or Raw Blue. Those are all books I've been wanting to buy! OH, and from your 5-star list, which is fabulous btw, I WANT THE DEVIL YOU KNOW. Hahaha. Since it isn't out yet, I would probably choose Raw Blue or Saving June. Congratulations on four years! I've been following you for almost that long, and it's bizarre to think that much time has passed. We often have different taste in books, but I've been getting more into contemporary novels and have been eying To All The Boys I've Loved Before since the spring. I would love to give it a read if I won the giveaway! I'd get twenty Boy Summer! Happy Blogoversary! I'd pick To All the Boys I've Loved Before. :) Thank you! Happy blogoversary!!! 4 years! Dang that's awesome! Hmmmm you have a lot of good books on that list, but I think I would have to go with Noggin by John Corey Whaley! :) Thanks so much! Congrats on 4 years blogging and school :) I think I'd pick Amy & Roger's Epic Detour, but there are so many great choices on your list. 4 years of blogging is quite the accomplishment - congrats! I would want to read The Fault in Our Stars. I've heard so many good things about it. Congratulations on your 4 year blogoversary! wow, congrats on 4 years! your blog was one of the first i ever started following (along with YA Crush & Gone with the words) and you were an inspiration to us when we started Gone Pecan. Four years is so long (four years ago, I had an infant, so crazy). from your 5 star list, I think I would pick Where the Stars Still Shine or Golden. Congrats on your 4 years, that is impressive. I haven't been through the whole list but one that stands out for me is Fangirl by Rainbow Rowell. Thanks for the chance to win a really good book. I'm so happy you began blogging and that I began blogging 4 months later and then met you because of it. One of the best things in my life. Congrats on all your success with this wonderful blog, G. Love you!! Congrats on 4 years of blogging, your graduation, and on becoming a teacher. That is awesome! First of all, congratulations on your 4 year milestone! And I would probably pick Fangirl. Thanks! Congratulations on 4 years AND graduation! I think I'd choose Just One Year because I'm dying to read it! Four years is an incredible accomplishment, Ginger! Congratulations <3 Even though we haven't been talking for that long, your blog was one of the first I came across when I decided to start my own blog. And even more congratulations on your graduation! I think it's so admirable that you know exactly what you want and (have) work(ed) so hard to make that happen. I know it will be so worth it. From your list I would probably choose Jellicoe Road, or The Sky is Everywhere, or Wanderlove, or In Honor, or To All the Boys I've Loved Before... choosing is hard, okay! They all look fabulous. I'd choose Golden by Jessi Kirby. Congrats on 4 years, and thanks for the giveaway! Ginger, congrats on your anniversary! I'm so happy that I've gotten to know you better this year and I'm so happy for you! Congrats on your graduation, your new journey as well as reaching your 4 year blogversary! Here's to many more good things to come, in your own life as well as this blog! I'd probably choose Second Chance Summer. Congratulations! I'd probably say The Devil You Know by Trish Doller because she's a phenomenal writer. 4 years - wow!! Congrats, girl! Know that you have been a big inspiration for me and my blog! I look up to you so much. You are one of the sweetest in this community. <3 Good luck with everything, G, and here's to many more years of blogging. Congrats on 4 years! What an achievement!! And what a list of 5 star reads too, my TBR is swelling already... I'd probably go with Easy or Something Like Normal! Congrats! I think I would pick Amy & Rogers Epic Detour. I've always wanted to read that and heard wonderful things! I just celebrated 3 years. It's amazing how quickly time goes by! Congrats!!! And many more years for you! Congrats on four years! Here's to many, many more! Wow congrats! That is really amazing. I think I would choose Where The Stars Still Shine by Trish Doller. Hope you have many more years of blogging! Congratulations on your blogoversary! I think I would choose Shatter Me, because I'm so behind in reading the book. Congratulations on four years, I so enjoy your blog, it's one of my favorites to visit. That is such an impressive list of five star reads, I'm interested in so many of them, but Jenny Han is a particular favorite, so I think I would choose To All The Boys I've Loved Before. Congrats lady! I'm so glad we started this journey around the same time. I am so, so blessed to have met you and the rest of our ladies. I do miss the days when we were all around more but I'm so excited for the ways everyone's lives have changed and all the things we are pursuing. I'd pick Fixing Delilah for sure! Also crap my FB entry had in Jamie Lee but I liked you with my FB page. I would choose Since you've been gone; I heard so many good things about this book on goodreads. Congratulations on 4 years - wow that is a long time to have been blogging! Congratulations! 4 years is such a long time! I'd love to read How to Love and The Book of Broken Hearts. Great list! Hmm...I would pick the Probability of Miracles.